Mad Physicist Interview, part II. And here comes the second part of the interview we started last week. You can read it in Hungarian on lego.blog.hu. Bricksngears: Do you have to wait often for bricks to arrive before you continue building or do you have everything on stock? How many bricks do you have on stock? RS: Because I always have a list of things I want to build and because I start planning long before I put bricks together, I usually have all the parts I need by the time I start building. There are also parts that I know I’m likely to use in the future (1x2 and 1x1 plates in just about any colour, for instance) and I try to keep lots of those in stock. I don’t really know how many parts I currently have that aren’t part of MOCs, but we’re probably talking a number on the order of 100,000. BG: You use many special bricks in your models. Where do you get them from? RS: I can tell you, but then I’ll have to kill you! Only joking, of course. I buy quite a lot of special stuff from people I know through Brickish. I also always check whether the particular bricklink store I happen to be using for my next project has some other useful and rare parts as well. By accumulating small quantities over time you end up with fairly large numbers of rare stuff. BG: Do you store all your creations when ready, or do you take some of them apart to reuse bricks? 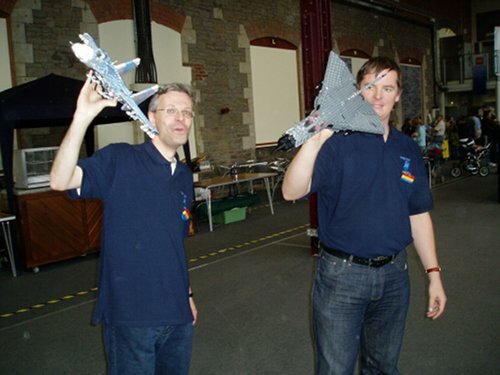 RS: In the last few years I have built a fair few models specifically for exhibitions or competitions and many of those were dismantled soon after the exhibition or competition ended. Most of my stuff stays together for a long time, however. I get attached to my models and when I have to choose between dismantling them and buying new parts, I tend to choose the latter. It’s a bit decadent, I know. BG: How many models do you store at home? RS: It’s been a while since I last counted them. A lot! I’ve got about 50 aircraft and helicopters and a similar number of large-scale cars and trucks. In addition to that I’ve got several minifig scale buildings and a lot of minifig scale cars; I don’t even know how many. Most of my LEGO models are still unpacked from when I moved back to the Netherlands. BG: What are your all-time favorites? 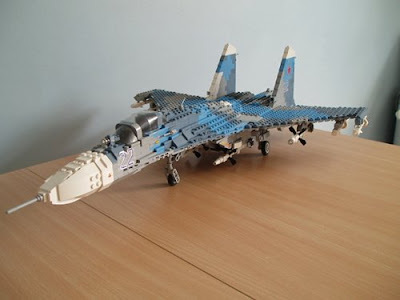 RS: I’m practically in love with my Su-27 Flanker-B model. The real aircraft is a beautiful machine and I was really happy with being able to build one in colours that are a reasonable representation of the real thing (medium blue, sand blue and blueish grey). 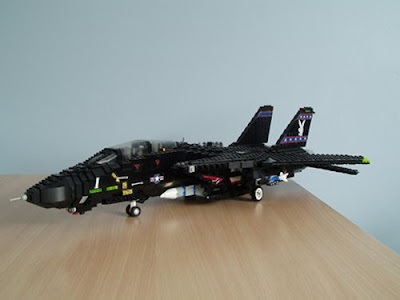 Another one that I am really happy about and that has been in my collection for years is my black F-14 Tomcat. It has been modified many times over the years, but I’ve had a Tomcat model for at least 15 years. 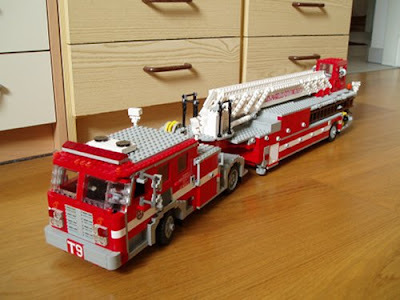 I really like fire engines, particularly American ones, and one of my favourite models is my Los Angeles Fire Department Tiller truck. I have had it for many years. I knew I wanted to build it when I first saw a picture of it and when I finally managed to make it work, I was well pleased. Finally, Brickston Borough. It’s not a single model, but my own little city layout (based on London) consisting of buildings, cars and even a train. It’s a long term project and I intend to keep adding new bits over time. 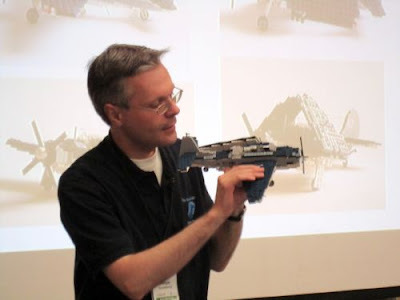 BG: You have been working together with Legomonster (Ed Diment) to create aircraft for his USS Intrepid project. Do you frequently work together with other Lego enthusiasts? RS: I have done collaborative projects with other members of Brickish and recently one with Isaac Mazer from the US, but Ed is the person I collaborated with the most often in the last four years. We like the same sort of things and we seem to have skills that complement and challenge each other. When I was in the UK we lived fairly close together and saw each other on a regular basis. His wife also likes to build with LEGO and didn’t mind having a crazy Dutchman in her house now and then. BG: Any yet unrealized projects for the near and far future? Anything you wanted to build for a long time? RS: I always have a list in mind of things that I might like to build. I’ve been buying parts for a large aircraft. I’m also thinking of building more helicopters and perhaps aircraft on a larger scale. Lately I’ve been building more Dutch or European vehicles, and I intend to build more of those as well. I’m particularly thinking of DAF trucks. A long-term plan would be to include many of my large scale cars in a large diorama. Unfortunately I have little time to build at the moment. I’ve got more ideas than I have time for. BG: Do you buy bricks, or also complete sets? Any sets you bought lately? Do you have a favorite official Lego theme? RS: I buy both loose bricks and sets, depending on what parts I need and on what I can get sufficiently cheaply. 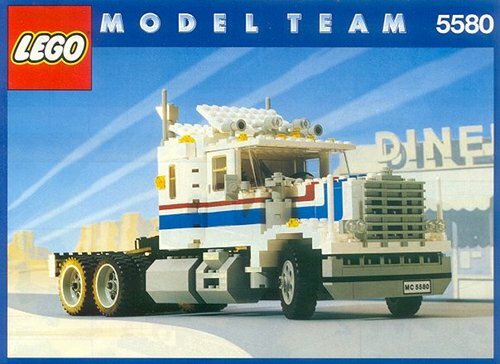 The last sets I bought were 3177 (the small city car), 8260 (a small Technic Tractor) and 6751 (a creator dragon). It’s all over the map, really, but if I’d have to pick a theme I’d go for Creator. They are nice sets with parts that are useful for many of the things I do and a decent price per part. 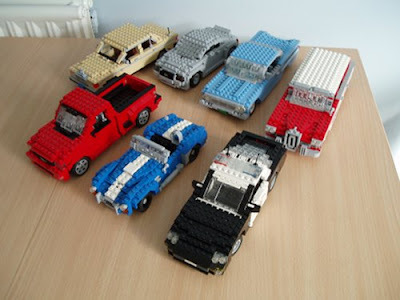 BG: Speaking of Lego products, do you have any preference for older 4 stud wide cars or for the newer 6 stud wide cars? RS: Mine tend to be 5-7 studs wide, so I obviously prefer the larger vehicles. They are more realistic without getting so big that they dwarf the figures. BG: Did you ever use Lego-compatible products from another company? Would you try it? RS: I have. I bought some 2nd hand LEGO a while ago, and without realising it there was a Mega Bloks part mixed with the LEGO; a 2x2 tile. I accidentally used it in one of my models. Lego Monster pointed it out to me and I removed the offensive object immediately. BG: Do you use any virtual building products like LDraw or LEGO Digital Designer? RS: I rarely do. I usually have plenty of bricks to work with and do much of the design process in my mind. However, the Intrepid project I’m working on involved building multiple copies of each aircraft design and I did make instructions for three of the designs using LDraw and LPub. I found it easier than I imagined, but I still much prefer building with real bricks. .
BG: Do you use a separator? RS: Absolutely. I probably wouldn’t have any fingers left without one! BG: One of your specialty is building cars, yet you do not have a drivers license. How come? Do you plan to get one someday? RS: I do intend to get one in the non-too-distant future. Why I haven’t yet is a long story. In the Netherlands you have to 18 to get your license and it is expensive. When I was 18 I was already a student and didn’t have enough money. During my PhD I really didn’t have time. Then I moved to the UK, where people drive on the wrong side of the road from my perspective. I didn’t fancy learning to drive there. I also never really needed a car either. I walk, ride my bicycle (I am Dutch after all) or take trains. I’m far more interested in what cars look like than in driving them. I don’t have a pilot’s license either, by the way. BG: Thank you for your time, happy building for the future! Bricksngears: How can we find you online? 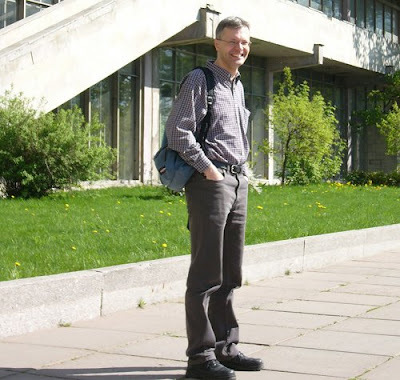 Ralph Savelsberg: I’m known as Mad Physicist on flickr and use the name Ralph_S on a few other sites, such as Eurobricks. I’m mostly active on flickr though. BG: And how about real life? Can you tell us a little bit about yourself? Where did you grow up, where do you live, what do you do? Do you have kids, family? RS: I grew up in the South of the Netherlands and lived in the UK for a bit more than three years. I have a PhD in physics (hence the physicist part of my nickname) and I worked as a researcher at a university. I’m currently back in the Netherlands and work for the Netherlands Defence Academy, where I teach several courses to officer candidates and do research. I’m single. BG: Do your friends and colleagues know that you are a well-known Lego builder? RS: I suppose I am well-known LEGO builder, but I am not sure my friends know about that part of it. They do know that I build with LEGO. It would be hard to miss for anybody who has ever visited my apartment! Most of my colleagues don’t know about it. It’s not a big secret (type my name into a search engine, and the LEGO pops up ahead of my research papers! ), but it isn’t something that I advertise. I haven’t had this job for very long yet and they are bound to find out about it eventually. BG: Did you have a lot of Lego as a kid? Any favorites you remember? Did you have a favorite theme? RS: I’ve been collecting LEGO for as long as I can remember and little else, so I did have quite a lot of LEGO as a child. If you look at what I do nowadays, it might be a surprise, but I had a lot space sets (Futuron, Blacktron I, space Police I). One of my favourite sets was the Stardefender 200 (set #6932). What won’t surprise people who know the sort of thing I build is that my all time favourite set was the Model Team Highway Rig. It’s one of the few sets of which I can actually remember the set number (5580). I remember seeing it in the catalogue in early 1986 and having to wait a few months until the set actually came out. BG: What did you build as a kid? Did you tweak the sets you had, or did you try completely new things? RS: Most sets would stay together for less than a week or two, before they’d be turned into something else. I used to build all kinds of things, including a lot of cars and planes, but also things I saw on TV. I used to have a lot of Transformers, for instance. Just about the one thing I didn’t build was minifig scale town. BG: How did things change as you grew up? Did you stop building at some point to restart later? RS: I know there are a lot of people who go through a dark age. I didn’t. I never stopped building. 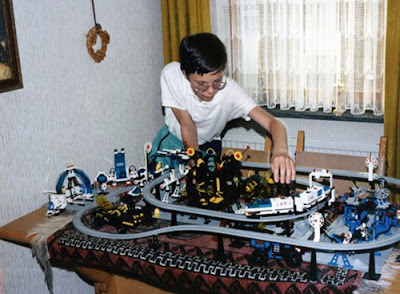 When I was in university I didn’t have much time or money, so I didn’t buy LEGO for several years, but even then I’d build now and then in weekends or during vacations. BG: How did your Lego building style change over time? When did you start building cars and aircraft? RS: I sometimes get told that my building is ‘old school’. My models trend to have studs showing and I tend to create shapes by using combinations of plates and half studs offsets rather than using fancy curved bits. In that sense my models now aren’t radically different from what I used to do many years ago. I do think I have refined things over the years. Many of my models do have things mounted on their sides or upside-down, for instance, but it’s usually not particularly obvious. I’ve been building cars for as long as I can remember. I started building planes not long after I first saw Top Gun as a teenager. BG: Do you have a favorite style to build cars? What is your favorite stud width? RS: I have built a lot of classic American cars, but I try to do something different now and then and lately I’ve been building more European vehicles. I don’t particularly care where a car comes from, as long as I like the shape. I don’t have a favourite width. I like my cars to have approximately the same scale. I settled on 1/22 years ago, set by the size of the wheels I had at the time. So, obviously, small cars can be as narrow as 9 studs. Big American cars often end up 11 wide. With hindsight it’s a bit awkward, because I rarely end up building something that isn’t an odd number of studs wide. For my minifig scale town models the width can be anything from 5 to 7 studs. BG: You have built many models of army land vehicles and aircraft. Was this a conscious decision to shift towards the military theme, or did it just happen? RS: This is a funny question in a way. If you would have asked me what sort of stuff I was really into about ten years ago or even five years ago, I would probably have answered that I am mainly a military builder. For a long time cars used to be the sort of thing I built using the colours that were left over from the military building. Obviously many of them were red, blue or yellow. 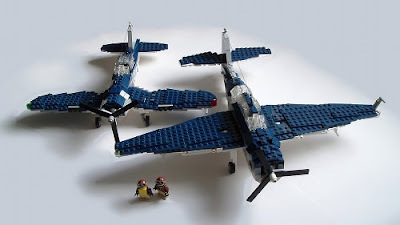 It’s only in the last few years that the cars have become more prominent, in part because there are only so many planes you can build without wanting something different and in part because LEGO has made so many nice colours that are suitable for classic cars. 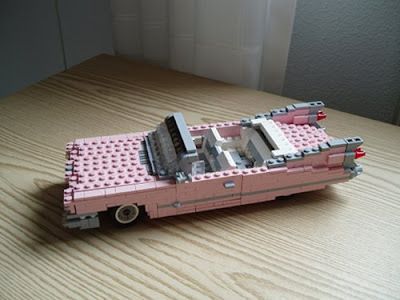 I’ve got a pink Cadillac, for instance, and while this is not a car that I’d ever like to own in real life, I just love having one in LEGO. What also is a factor is that I joined LUGNuts (a LEGO car group on flickr). We’ve got monthly car-building build challenges, which means that I’ve been building at least a car a month since joining more than two years ago. I didn’t build any minifig scale stuff at all until a few years ago. I got back into it through Brickish, the LEGO users group I joined whilst in the UK. Their members do a lot of really neat town stuff and I got involved in that and enjoyed it a great deal. BG: Where do your inspirations come from? How do you get ideas for new models? RS: Inspiration comes from all over the place. 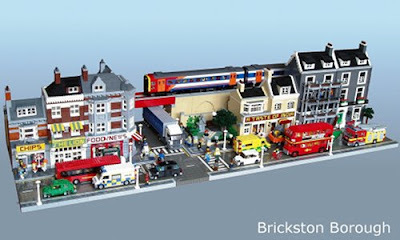 Many of my minifig scale models were inspired by things I’d see around me when I lived in the UK; the type of vehicles, the style of the buildings. For most of the cars I build I get my inspiration from photo books. I have several on classic (American) cars and fire engines, for instance. I also have lots of books about military subjects. I don’t really know why I decide to build a particular model at any given time, but it is rare for me to build something that I didn’t already find interesting for a while. BG: On a typical day how much time do you spend building? RS: I haven’t been building much in the last few months because of work. Most of my building is done in weekends. If I do have the time, I build pretty much all day long. BG: How does the typical building process look like? Do you plan everything on paper? Or do you prefer trying it out with real bricks? RS: I plan things, often months in advance. Whenever I start thinking about a new project I try to work out what parts will be difficult and then I try to figure out how to build them. Usually I do this in my imagination, but sometimes on paper as well. I normally also make a drawing of the general arrangement and overall shape or I find a three-view drawing on-line and work out the size of various bits from that. .
To be continued next week. From the next part you will learn why Ralph has no drivers license, has he ever built from Mega Bloks and whether he uses a separator.